This smoothie gets its name thanks to the powerhouse ingredients such as turmeric, greens, fresh ginger and pineapple which are full of anti-inflammatory properties. You also get a boost of protein in this smoothie thanks to the protein nut milk, making this a great post workout smoothie. 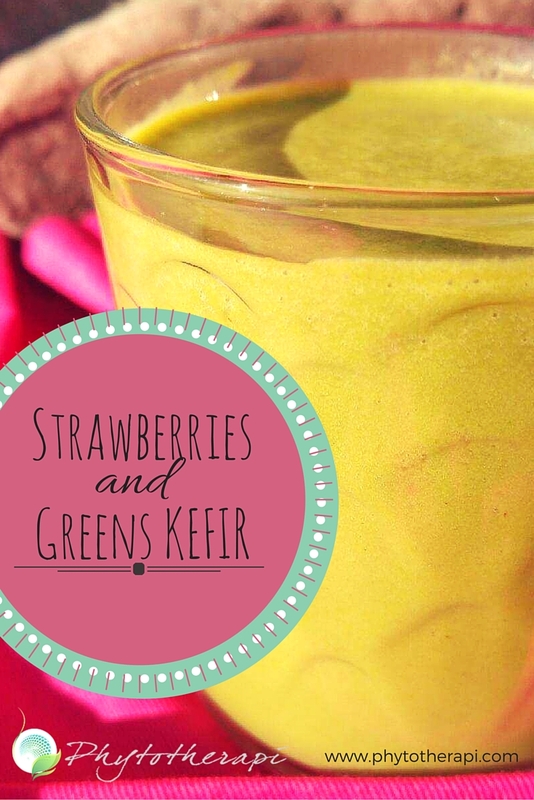 This refreshing smoothie will give your digestive system an extra boost thanks to the kefir. The mix of blueberries and banana also help improve memory and stabilize the nervous system. If you want to try other smoothie recipes with kefir head on over to our smoothie recipe section and try our Strawberries and Greens Kefir, Pumpkin Spiced Smoothie, or our Wonderful Melon Smoothie recipe. Nothing says fall like pumpkin! This pumpkin spiced smoothie is a healthy alternative to artificially flavored pumpkin products that line the shelves this time of year. You can feel indulgent yet good about drinking this smoothie. The excellent fiber content from the pumpkin will help you feel full and satisfied. This smoothie will be a delight to your whole body, but most especially to your liver. It is very healing; the combination of apples and grapefruit are well known to help clean the liver. Ginger and turmeric help calm irritated tissues therefore assisting in diminishing inflammation.